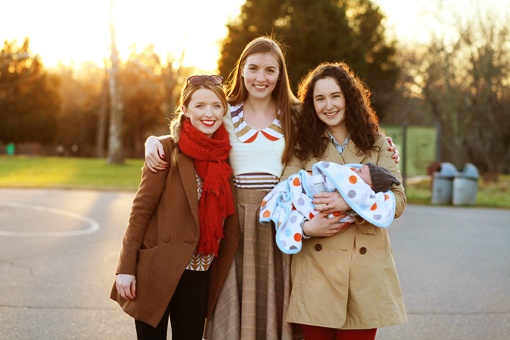 Last week I got together with these lovely ladies to shoot Megan Nielsen's Winter Collection. She's rather talented if you must know. Tania was of course, the gorgeous model. And a historic battlefield park served as the backdrop. It was an afternoon of muffins and girl talk, stunning winter sunlight and impressive, chilly quick-changes. Though Everett kinda ended up stealing the show with his kick-A sleeping and eating abilities. He does that. Pretty sure that babe's the reason why I get invited to anything cool these days. Those pictures are beautiful!! The light is just perfect! And you look amazing! Great shots. You all look beautiful. impressive pics... very good use of natural lights. Sydney! From what I can see, great shots! How fun! And yet again, Everett is adorable! wow what gorgeous lighting! im guessing you were the photog? was manassas battlefield the background by chance? that is my go to location for photo shoots! ah yes, this is gorgeous, I was looking at her collection yesterday! so sweet. Great job, sydney! And love that lipstick! I'm sure you've said, but I'll ask again what it is. Beauties! the lighting is amazing. and the colors stunning! SO cute! I love the picture with you and Everett, adorable! Love the colours! Where is your coat from Syd? I want it!!! I'm so in love with winter light! Awesome, awesome, awesome images! Syd, I was wondering where is your red scarf from? I want one like that for Christmas. Beautiful pictures! 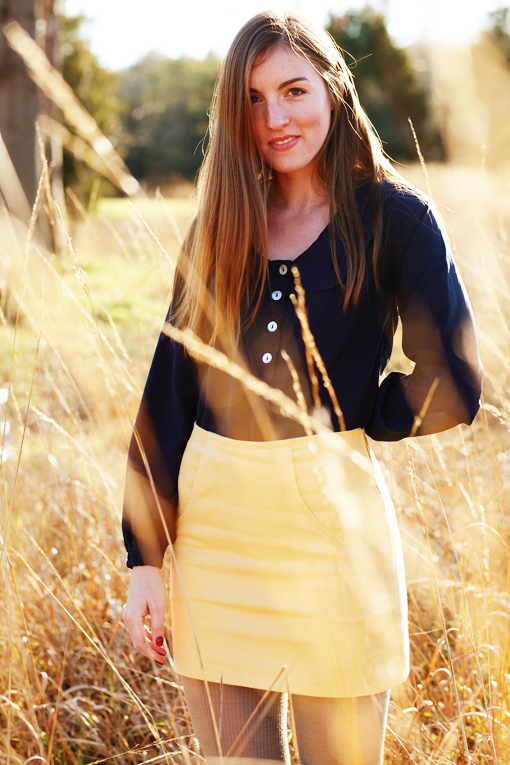 I love the yellow skirt! That first shot is stunning! Love these pictures and that red lipstick - can you share what brand/shade it is? It's like too much awesome on one page. Tania and Sydney. Woah. Amazing pictures! Looks like you had a fun day! How fun! I love that you girls are all friends. Lovely collection! Oh, and I love your scarf and red lips! Gorgeous shots! You have such an amazing eye! Can't wait to see the completed lookbook! Oh sweet baby, definitely a show stealer! And I love your outfit with the red lipstick! Great pictures! You're glowing : ) The clothes look fabulous! Beautiful pictures. The clothes look soooo pretty. Oh Sydney, you must tell us where that beautiful orange top is from! You all look so precious, it's so neat to see two of my favorite bloggers together! babies sure have a way of stealing the show! for good reason ofcourse. No one wants me around anymore either...its all about baby J! Everett's little hat and blanket just melt my heart. He is so lucky to have such a stylish mommy! ha, all babies steal the show. but he's just so cute it's hard to get mad at him! and you look amazing right after birth, sydeny! Where can I get Everett's hat? I need one for our bambino! aw, although your babe is just the cutest, you get invited to things because you are just SO awesome!! Whenever I see Megan Nielsen, I freak a little because I think you'll be talking about me. Megan Nielson. I'm also wondering where to get that great red scarf! 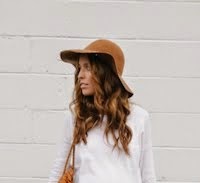 I really love love your blog!!!! and congratulation for your little baby boy!!!!!! May I ask where your top is from, Syd? Love the pattern! THANK YOU! You are so talented. aw, syd, you were the genius behind the whole shoot, you have such an incredible eye for light and angles. the pictures are beautiful! You take beautiful photos. 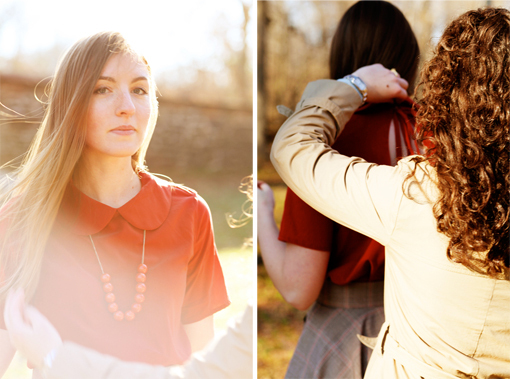 Very lovely lighting and great clothes, especially the red peter pan collar blouse. you look awesome and yea that's what happens when you have a baby, they steal the show everywhere you go! haha! I love the morning shine..